Living with diabetes may require lifestyle changes, new eating habits, and more. Diabetes management and care are readily available from the medical doctors at Addison Internal Medicine. 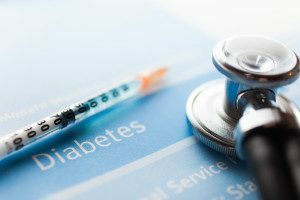 Our team understands the many complexities associated with diabetes which may include fluctuating blood sugar levels and diabetic neuropathy. We work closely with each patient to help you manage the symptoms of diabetes. Our ultimate goal is to reduce or control diabetic symptoms by using the latest in medical technology and medications. Our internists provide proper treatment and diabetes care. Our experienced physicians offer patients a range of diagnostic tests to determine the type of diabetes suffered by the patient. Based on the results, we can recommend a proper plan to manage diabetes that may involve lifestyle changes and prescription medication. To schedule your appointment and learn how our diabetes management solutions can help, call our team at 972-733-3090.